Serena is reworking her Pokémon Showcase routine when a powerful attack from Pancham hits Braixen and breaks its beloved twig! Everyone tries to find Braixen a new twig, but it isn't interested in a replacement. Team Rocket has been spying as usual, and James dons a disguise and joins our heroes to see if he can help. Nurse Joy suggests they take the twig to a tree surgeon, Mr. Woodward, for repairs. 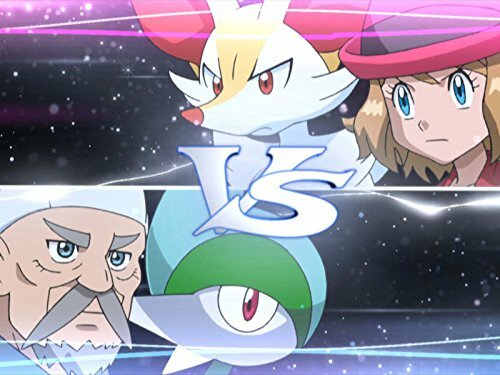 He first wants Serena and Braixen to demonstrate their bond, and the best way to do that is with a battle. Braixen eventually uses its broken twig to unleash a powerful new move: Fire Blast! This shatters the twig beyond repair but restores Braixen's confidence, and it finally accepts the new twig Pancham offers. Our heroes are off once more to Anistar City, and the bond between Serena and Braixen is stronger than ever!